With a mutual passion for California culture, renowned illustrator and graphic designer?, John Van Hamersveld is continuously recognized ?for his influential graphics and images that are quintessential markers of Southern California culture. Best known for his psychedelic patterns and vibrant color schemes, he is a pioneer in the worlds of art, music, and surf—blending these genres perfectly into his extensive repertoire. 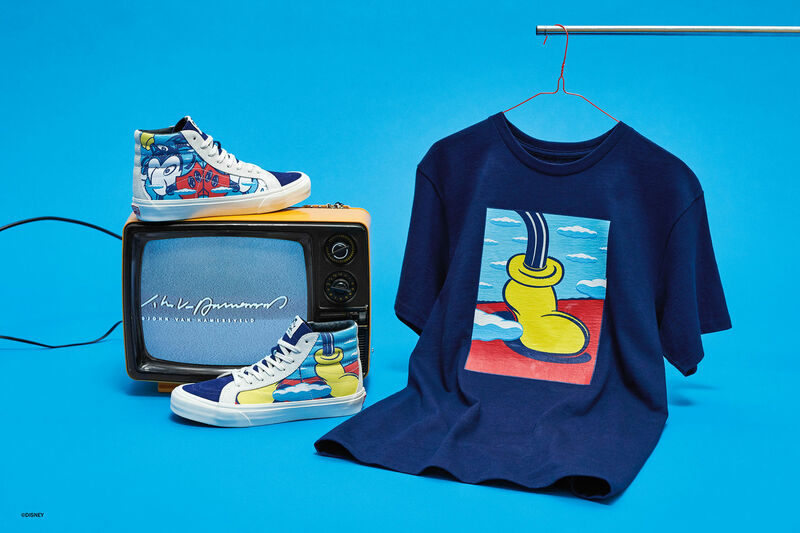 For this collection, Van Hamersveld produces bright, punchy graphics featuring the one and only Mickey Mouse.